In a climate of rising harshness towards the most vulnerable in our society comes Stephen Unwin’s lucid, timely reminder from history about where regarding people as `productive tools’ leads. Interesting that two new plays in recent weeks have referred back to Nazi Germany and indirectly to the Holocaust. Whereas Cordelia O’Neill’s fine No Place for a Woman (Theatre503, see review elsewhere on this site) looks at relativism and the chance accidents of life that can turn one middle class woman into being on the `winning’ side, and the other, by virtue of her Jewish birth, on another, Unwin looks directly at the Nazis’ policy of eugenics. `A healthy mind in a healthy body’ was just one of the mantras horribly perverted into a deathly reality for any who found themselves vulnerable to `difference’ or weakness. 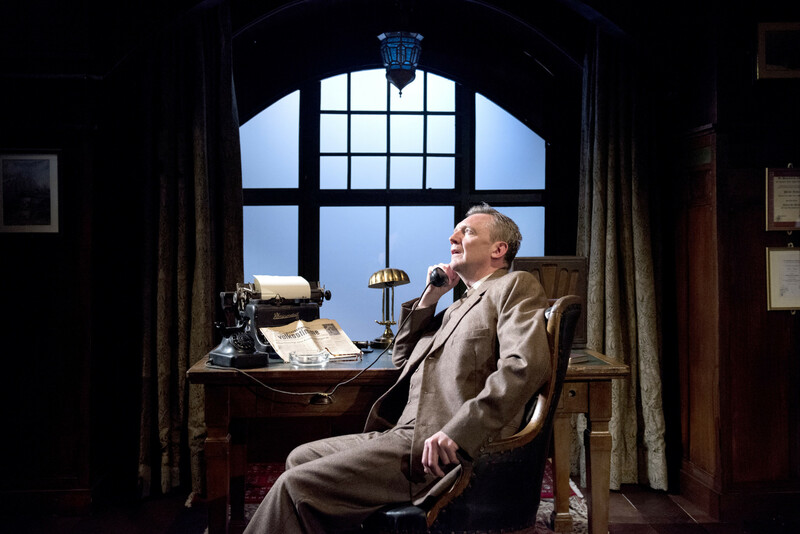 Unwin, with calm logic and in a production whose realism reaches into every crack and crevice of the tiny Jermyn Street theatre stage – you can almost smell the imminence of snow in Simon Higlett’s study with its central stove and heavy weighted curtains – immediately creates a simulacrum of that nightmare world; of a culture that can appreciate Schubert’s Wintereise or produce a Goethe but which at the same time can draw a dedicated doctor and paediatrician into exterminating vulnerable and disabled children. 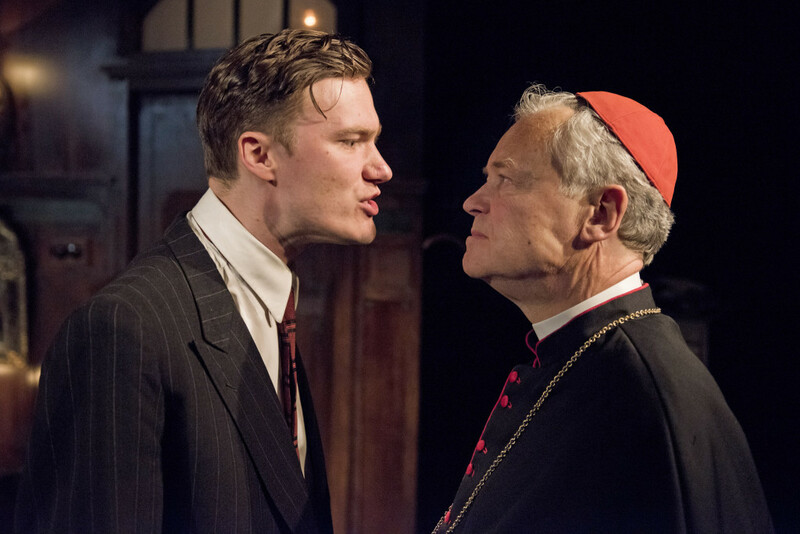 All Our Children is a play – incredibly despite his acclaimed career as a theatre director, Unwin’s first – that beautifully poses moral, ethical, religious and political tensions not just within the play but even within its characters. 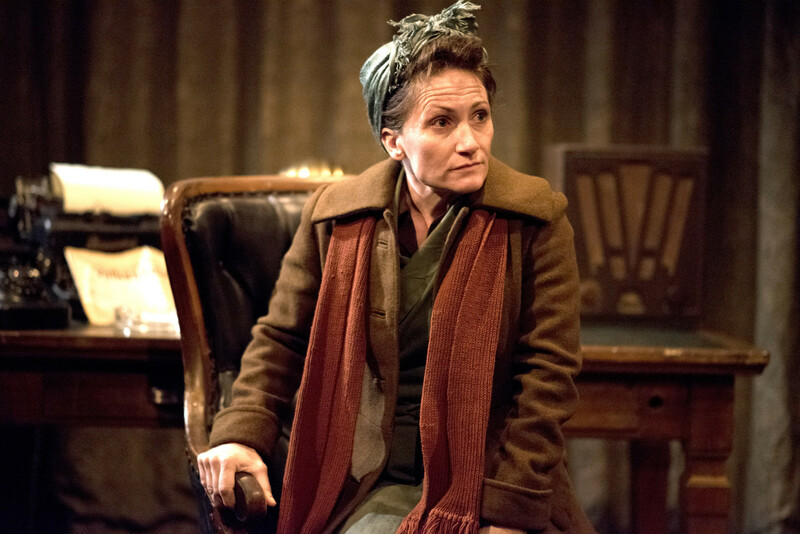 Colin Tierney’s Victor, for example, is a wonderful mixture of loyalty and angst as indeed is Martha, his maid/housekeeper – staunch Catholic mother and patriotic yet with a growing sense that all is not right within the clinic of which Victor/Dr Franz is Chief Consultant. Set against these two trembling `doubters’ are two `absolutists’ – young Eric, the clinic’s Gestapo administrator (Edward Franklin, crackling with devotion to the Fatherland and Herr Hitler) and David Yelland’s Bishop von Galen – a model of old school German aristrocracy and Catholic doctrine whose abomination of National Socialism’s defection from the `morally good’ is bringing him into direct conflict with the temporal powers. © Camilla Greenwell, Lucy Speed as Elizabetta Pabst, the mother of an epileptic child and victim of Nazi `mercy killing’. Add in the distraught mother of a severely epileptic child consigned to a `kindly’ (according to Victor) `euthanasia’ and you have one of the most moving and humanely intelligent discussions on the rights of the disabled seen for a very long time. We are more than the sum of our `productivity’, it argues, and diminishing one diminishes us all. Tierney’s conscience and his agony is the heart and soul of All Our Children but so too Martha’s and the dialectic between them and Franklin’s Eric and Yelland’s Christian bishop. It should be mandatory viewing for certain Tory Ministers. I hope it has the longest life and is seen the length and breadth of the land. Congratulaitons Mr Unwin. Heartfelt and high quality. 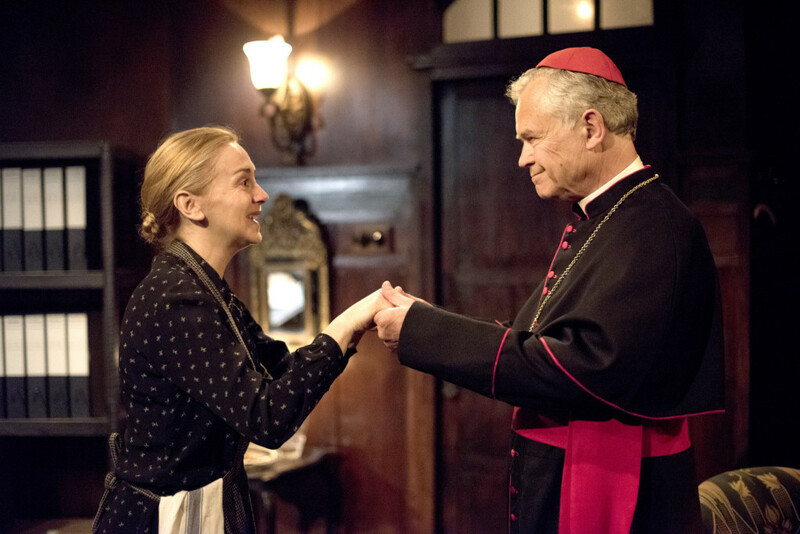 World premiere of All Our Children at Jermyn Street Theatre, London, April 26, 2017. Runs to June 3, 2017. Running time: 1hr 40 mins without interval. This entry was posted in 2017, Reviews and tagged Catholic Bishop objection, Colin Tierney, David Yelland, euthansia, Jermyn Street Theatre, Nazi killing of young disabled children, Simon Higlett, Stephen Unwin on May 19, 2017 by Carole Woddis.